Porteris a magazine that brings you the most captivating fashion, at a moment in the season that makes sense. Mio Body Brush jumpstarts your lymphatic system, tackling stubborn lumps and bumps; then further boost micro-circulation with Mio's Shrink To Fit Cellulite Smoother. **For UK 12 month Direct Debit subscribers only. 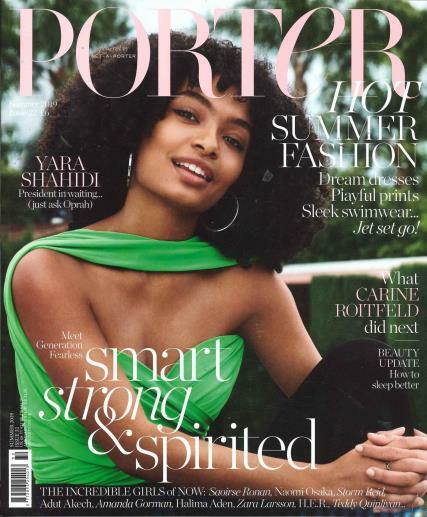 Published six times a year – for Spring, Summer, Summer Escape, Fall, Winter, Winter Escape – Porter is a magazine that brings you the most captivating fashion, at a moment in the season that makes sense. Each issue begins with the Fashion Memo, a sharp edit of the pieces that you really need to know about, from the perfect new day bag to the ultimate evening switch-up piece. In Art of Style, Porter explores how women with great personal style achieve it. Porter’s mission is simply to deliver the best in the world, wherever you are in the world. High End Fashion - It's only PORTER Magazine!